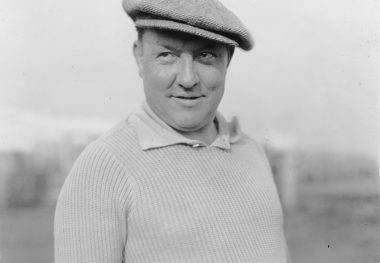 CLIFF DURANT, the wealthy sportsman son of General Motors founder W.C. ”Billy” Durant, entered eight cars in the 1923 Indianapolis 500 race (all Millers), of which five finished among the top seven. 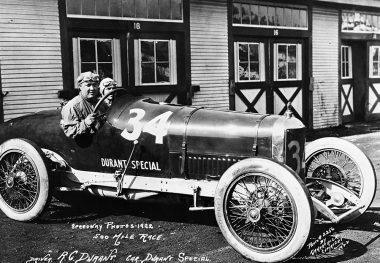 Durant drove in the Indianapolis 500 six times, leading briefly in 1923. 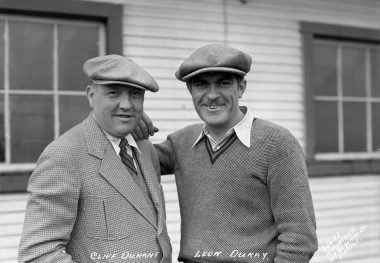 A staunch supporter of auto racing for many years, Durant was one of the principal shareholders in the renowned board track speedway at Beverly Hills, California, that operated from 1920 until it was sold to make way for the Beverly Wilshire Hotel in 1924. 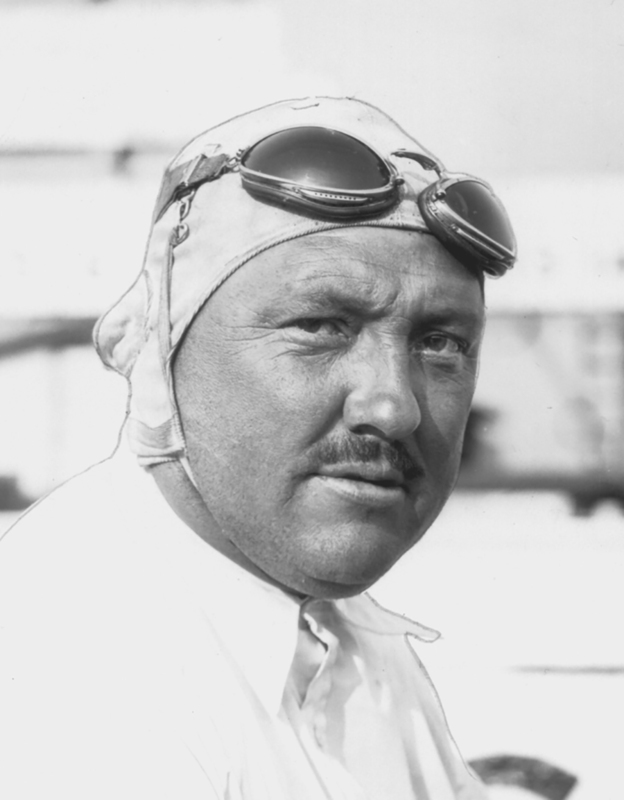 Durant-entered cars finished second in the Indianapolis 500 three times and scored frequent victories elsewhere, especially on board tracks. 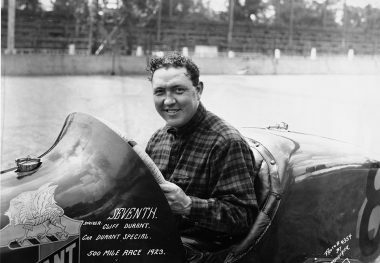 Eddie Hearne, who won the 1923 National Championship for Durant, finished second in the 1919 Indianapolis 500 in a Durant-entered Stutz, while Dave Lewis and Bennett Hill shared the second-place car in 1925. The 1925 race entry, commissioned by the late Jimmy Murphy, was the first front-drive car in the Indianapolis 500.